Born into rural poverty in 1793, his story is one of the most moving and tragic in a field rife with drama. After his brief blaze of fame, he returned to the fields to support his family. The world soon forgot John Clare. He continued to write on whatever material came to hand. According to records at the Peterborough Museum, sometimes he’d use the back of an invoice. Or, if he was out in the field, his hat band or slivers of bark from a tree. 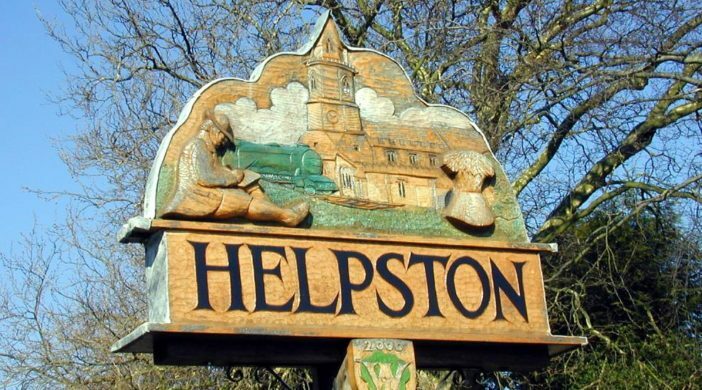 He wrote of the birds, flowers, trees, and gentle beauty of the landscape around his native village of Helpston, eight-miles north of Peterborough. After several breakdowns he was committed to an asylum for the insane. By his death in 1864, he had composed over 3,500 poems, plus numerous essays and letters. In addition to the natural world, Clare’s works on love, politics, and environmental and social change provide an unsurpassed picture of early nineteenth century English rural life. On my driving tour of John Clare Country, I discovered a bucolic landscape of rolling countryside blessed with some of the finest stone towns and villages in England and nary a tourist in sight. Manicured hedgerows bordered a patchwork of butter-yellow rapeseed, verdant sheep pasture, and scattered groves and windbreaks of ash, hazel, hawthorn, and oak laced with languid meandering rivers straight out of Wind in the Willows. In a recurring Clare image, an iridescent blur of plumage burst from the roadside as I slowed to avoid startled pheasants and pulled onto a grassy verge at Castor Hanglands. 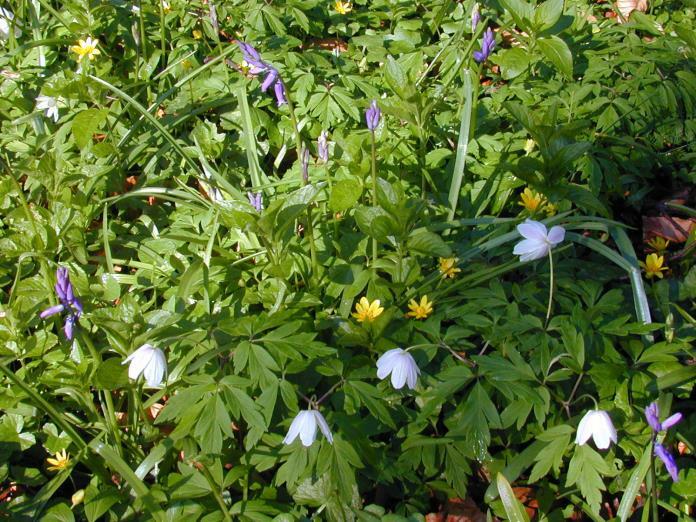 Now a national nature reserve, this remnant of an ancient hunting forest is the sole wild area remaining in a state familiar to John Clare prior to the 1809 Inclosure Act that restricted public access to former community lands. The poet’s chronicles of the dislocation and hardship faced by working people when landowners fenced their fields in pursuit of more efficient agriculture leads some historians to speculate that Clare’s eventual incarceration was hastened by his public condemnation of the practice. St. Botolph, the parish church of Helpston broke the level horizon. John Clare’s childhood home lies a stone’s throw from its prominent tower. 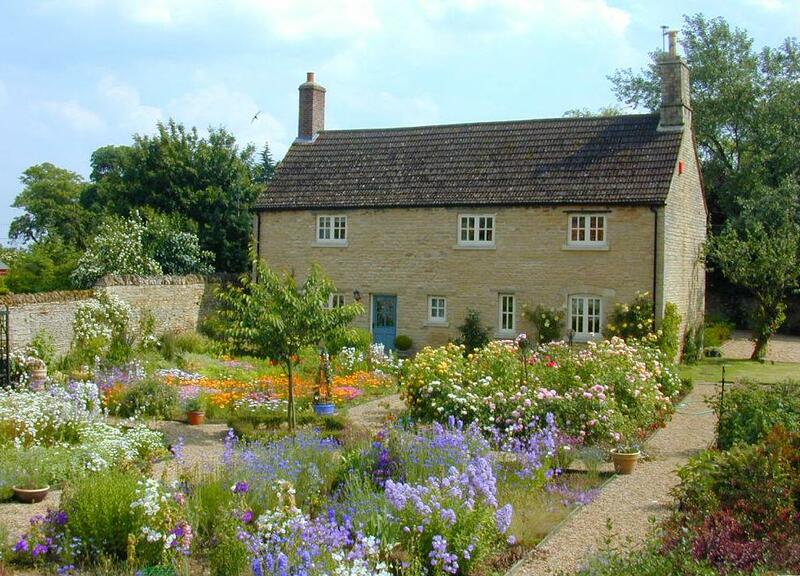 The John Clare Trust purchased his family cottage in 2005. After restoration it reopened in 2009 as a center to celebrate his work and share his understanding of the natural world with future generations. Outwardly the house at 12 Woodgate Street, Helpston is little changed from an etching published in his first volume of poems. White stucco walls supporting climbing roses are overhung by thick thatched eaves. Inside, space intended for five families has been restored using traditional building materials and methods and opened up to create a series of galleries chronicling the life and times of the poet and his village. The garden flourishes with varieties of plants from his era. After leaving school at age 12, young John worked at the Bluebell Inn, a public house that still stands next door. The landlord treated him “more like a son than a servant … I believe that this place was the nursery for my rhymes.” As I entered, I bent under a low-beamed ceiling festooned with pewter tankards. Historic maps and lithographs decorated the walls. 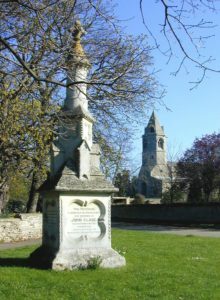 An ornate Victorian stone memorial inscribed with Clare’s verse stood outside St. Botolph’s churchyard gate. His gravestone sheltered in the lee of the chancel wall. Copies of his baptism and burial records were posted on a notice board. 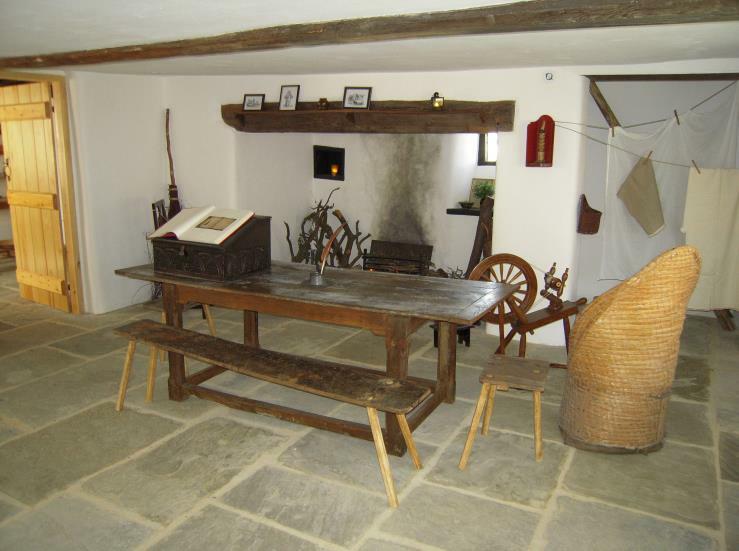 Surrounded by mellow stone cottages, the predominantly 14th century chapel incorporates materials salvaged from Saxon and even earlier structures. Sections of mosaic pavement excavated from a nearby Roman villa were set into the floor. Such antiquities intrigued Clare and inspired an ambitious poem, “Triumphs of Time,” on the impermanence of human achievement. Clare walked two miles over flat fenland fields to school in the church at my next stop. Glinton village stands in the shadow of the graceful spire of St. Benedict’s. Here he fell in love with Mary Joyce and carved the inscription JC 1808 MARY into the stone door frame. This attachment, rebuffed by her parents, haunted his life and his verse. In his later years he became convinced that Mary was his real wife even though he had been married to Martha Turner for more than 20 years and she bore him seven children. As Clare slipped deeper into poverty, Lord Fitzwilliam- a longtime patron- sponsored the family’s move to Northborough in 1832. 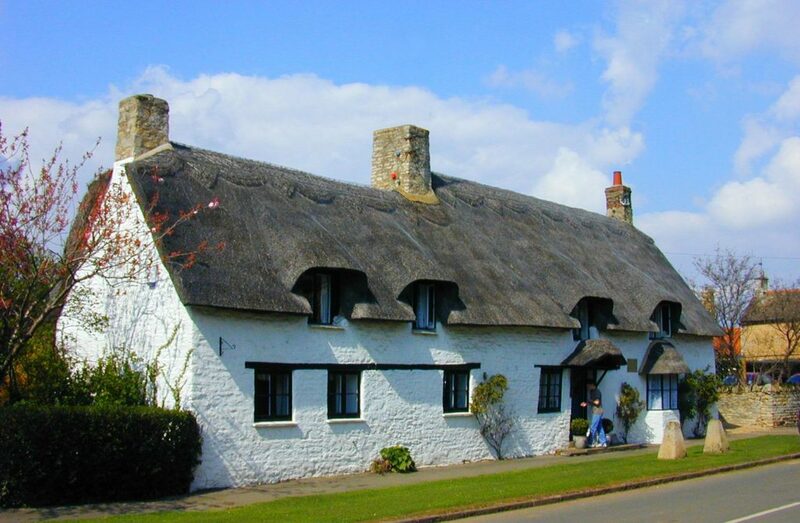 The thatched stone cottage stands behind a wide green lawn at 42 Church Street. Although he could see the tip of Glinton spire from his new home, Clare still felt estranged from his familiar haunts. Several years later, driven by disappointment and ill health into depression and finally delusion, Clare was sent far from his “green fields” to an asylum in Essex. Shortly after his “escape” and return home he was “put away” again, this time to the Northampton General Lunatic Asylum. Here he was treated well and continued to write for the remaining 23 years of his life. During this period, he completed over 800 poems, many, including the poignant “I am,” reflect his loneliness and struggle with self identity. 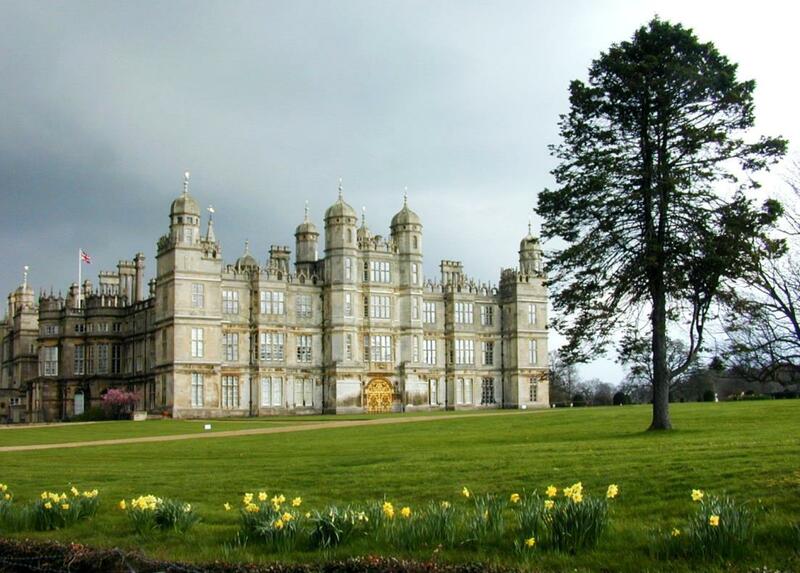 From Northborough, I drove to Burghley House near Stamford. Built by the Lord High Treasurer to Elizabeth I, the seat of the Marquis of Exeter is one of the largest and grandest houses of that era. A palatial structure of 35 major rooms and dozens of lesser salons, halls, corridors, and bathrooms, Burghley sits in a 300-acre deer park landscaped by Capability Brown. 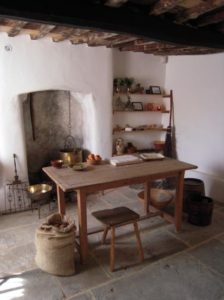 For a brief period, John Clare worked as an apprentice to the kitchen gardener. I joined a docent tour of the state rooms. Beginning in the Chapel with an altarpiece by Veronese, every room overflowed with treasures, including paintings by Brueghel and Gainsborough, tapestries, silk, inlaid furniture, and porcelain. John Clare felt embarrassed as his soiled, hobnail boots clattered on the fine marble floor when he was invited to meet the Marquis. Apparently, the honorable gentleman was not disturbed; he granted his visitor a stipend of 15 guineas for life. Stamford pushes up against Burghley’s brick boundary wall. I imagined John Clare walking the steep narrow streets and alleyways of this ancient borough that once challenged Oxford as a university center and today bills itself “the finest stone town in England.” The 13th– century churches, and Georgian, Queen Anne, and Tudor homes and civic buildings were familiar to the 13-year old youth who hiked the 10-mile round trip from Helpston clutching one shilling from his “indulgent father.” At Drury’s bookshop on High Street he purchased James Thomson’s seminal nature poem “The Seasons” that served as a model for his early verse. 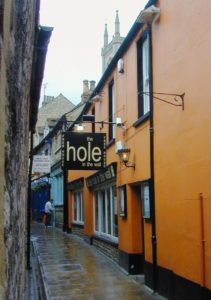 Years later, with fellow gardeners from Burghley, he enjoyed “strong ale and midnight merriment” at The Hole in the Wall, still a popular pub on Cheyne Lane. I admired fragments of medieval floral wall painting in the quiet Norman Church of St. Peter and St. Paul at Great Casterton a few minutes north of Stamford. To the peal of bells cast using tools supplied by Thomas Franklin, uncle of American patriot Ben Franklin, in 1820 John Clare married Martha Turner – his “sweet Patty of the Vale.” They walked across the street to their wedding breakfast at The Crown Inn. I celebrated the final station of my pilgrimage with a pint of the landlord’s best, and reflected on how my exploration of John Clare Country had introduced me to a landscape blessed with communities that respect the historic and natural ingredients that make it unique. 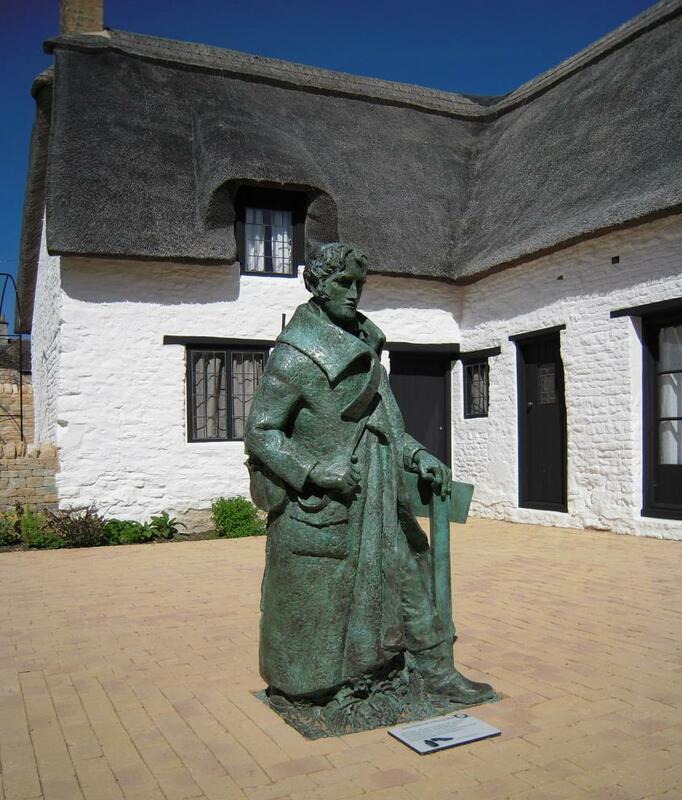 Spurred by the opening of the Clare Cottage to the public, renewed interest in him has encouraged even greater appreciation of the heritage of the region and increasing support for preserving the environment for future generations – surely a fitting legacy for England’s “finest naturalist” poet. Wonderful tribute to an undiscovered gem. Thank you, David, for giving recognition to England’s finest naturalist poet. What an inspired piece, David — tragic and beautiful. I won’t soon forget this peasant poet.